If you pre-order The Last of Us at most retailers like Amazon you will get the Sights and Sounds Pack as a free DLC bonus. • A digital download of the game soundtrack, featuring original music by Academy Award winning composer Gustavo Santaolalla. • A PS3 dynamic theme showing Joel and Ellie on their journey through a ravaged city. • Two exclusive PlayStation Network avatars featuring Joel and Ellie in winter survival gear. Receive The Sights & Sounds Pack and the GameStop exclusive Survival Pack for pre-ordering The Last of Us there. • Bonus experience points to give you a head start on your rivals. • A powerful melee attack booster to pack a heavier punch in hand-to-hand combat. • In-game currency to buy boosters, customizable parts and other items to bolster your multiplayer characters. • Special customizable items for your multiplayer character. 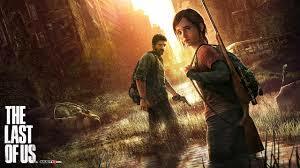 • Two bonus skins for Joel and Ellie – available once you’ve completed the single player game.